Welcome! 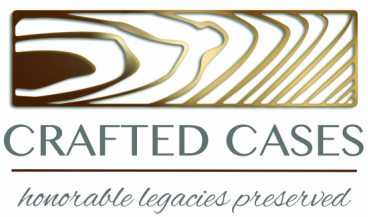 Crafted Cases was established in 2014. I am Mike Outten, the owner, and I have 30 years wood working experience. I retired from the Air Force after 26 years and am a service disabled veteran. My mission is to provide items that reflect an individual's hard work for his/her family, community, and country. The cases are made in North Carolina and you will be impressed with the product quality and customer service. My business philosophy: I believe in providing excellent customer service while supplying consumers with a variety of quality products at competitive pricing. I want customers to be satisfied with their purchases and their relationship with my small business. I want you to be proud to display one of my products in a highly visible location to honor someone you love and care for. I believe if you are satisfied then you will be willing to recommend my cases to others. Giving Back: I provide 10% of all revenue to charities each month. These would include The Crisis Assistance Ministry in Charlotte, St. Jude Research (for kids with cancer), and the local rescue mission. I feel privileged to help others that have needs greater than mine. Do you have a custom case in mind but don't see it in the store? Then please fill out the contact form or call me. I will work hard to custom design a case just for you.